Can students do this on their own? Smart tutoring is a new approach to extra help that I created to appeal to the new technology-savvy generation. Since the majority of older students have their very own smart phones nowadays, your child and I will work on math problems primarily through apps on the smart phone. It’s the wave of the future! Nowadays, one kid is better with technology than 25 adults, combined. In this day and age, kids are growing up with technology – and it’s no exaggeration that the majority of kids have technology in their hands before they can even walk! 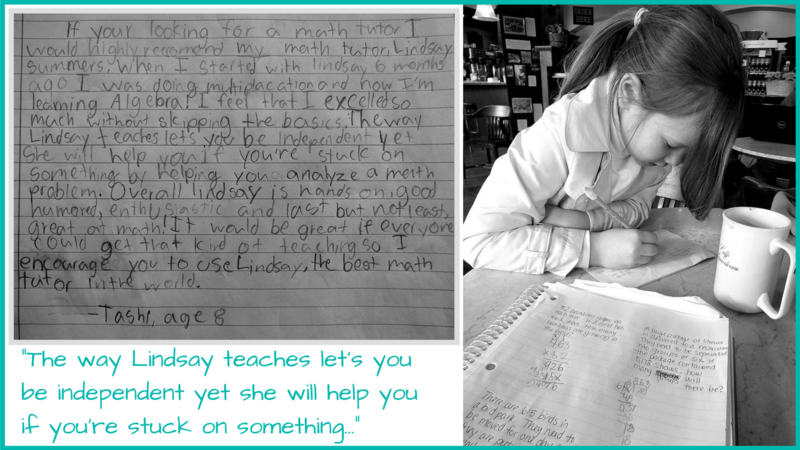 Smart tutoring is a fun, interactive, and an engaging way for children to learn mathematics! It is also very flexible and tailored to exactly what the student needs at any given time. Basically, smart tutoring is like a private math teacher always sitting around in your living room just waiting to help… But a lot less creepy. and much more! (I’ll go into more details about the specifics soon)..
Because kids are naturally adept with technology and because they love being virtually connected (to everything, 24/7), they will love smart tutoring! Instead of the two of us sitting at the kitchen table and just talking and working on problems once per week (which is boring, and difficult to remember questions all week for the one meeting), we will stay connected virtually every day! Wouldn’t meeting face-to-face be better? Not necessarily. Honestly, I really enjoy meeting with students in person for a number of different reasons, but of all the reasons as to why I like meeting face-to-face, most can be accomplished through the above mentioned methods of communication. I have tutored for many years, so I understand what students need. I have also researched a LOT before making the transition from face-to-face-tutoring to smart-tutoring. I honestly believe that the system I created is the best method of quick math help and tutoring. Like I said from the beginning: smart tutoring is a fun, interactive, and an engaging way for children to learn mathematics! It is also very flexible and tailored to exactly what the student needs at any given time. Basically, online tutoring is like a private math teacher always sitting around in your living room just waiting to help… But a lot less creepy. 1| PreTest Assessment and Adaptive Practice Problems – below (in the getting started section), you will find a link to a PreTest. This will help me determine where to start with each student – no student is the same! I want to give every student the exact attention he/she needs in the specific areas he/she struggles with. 2| WhatsApp (App) – a messaging app (just like text messaging), but with much much more! Super easy and fun, students and parents will feel comfortable touching base with me on a regular basis and WhatsApp has all the tools necessary to convey any point. Why use WhatsApp instead of just normal texting and calling? Because it simply requires WiFi… meaning if a student doesn’t have a phone plan (but might use an old phone just for games and fun at home), he/she can still text and call! Also, it works internationally. 3| Unlimited Homework Help! 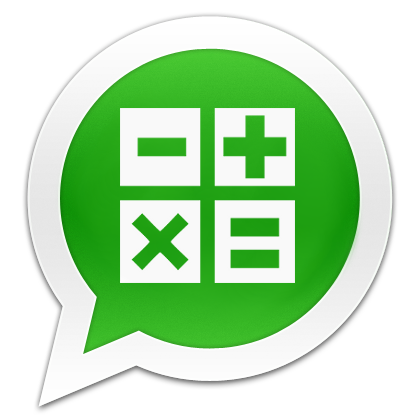 – With WhatsApp, it makes it super easy to answer any questions a student might have with assignments from school. All the student has to do is send my a text message just like they would to any of their friends. They can write down the problem, try it, ask questions, send a voice note, etc… and I will get back with a response, a suggested video, a voice note, and/or a picture of the math problem with correct steps to take within minutes! 4| Email – If students or parents do not have a smart phone to use WhatsApp for communication, do not worry! I check my email all the time and can communicate just the same via email. I will keep in touch with parents (and even the student’s teacher) in order to keep everyone up to date on the student’s progress. 5| Khan Academy (Website) – Khan Academy is a great resource for anyone (and it’s free), but having a personal math coach is even better. When a student has me as a coach on KA, I can send recommended assignments, see which problems the student had trouble with, how long it took to complete each problem, which videos were watched, etc. I then take this information provided by KA and tailor the lessons and assignments to meet the student’s needs. 6| Personally suggested YouTube videos – Tailor picked videos in order to help students understand new material. 7| Other Apps to promote learning – I carefully select which apps to use with students for the best learning experience. Apps must be easy to use, free, and include an option to share a direct screenshot through WhatsApp so that the student can easily send me his/her work (if he/she chooses to try work on the smart phone. Otherwise, students are more than welcome to use paper and pencil for problems and send me picture of their work). No Smart Phone? No Problem. Not everyone has a smartphone, but the demand for a virtual tutor is still there… so I’ve come up with alternative options for students without smartphones. An iPad will work as well, with Skype (instead of Whatsapp). Everything else listed above (except for Whatsapp) will be the same and included. Can’t students do this by themselves? Rates are based on student’s math level, not student’s grade. For example, if you are in grade 8 but are taking an Algebra class, this is a high school level class, even though the student might be in middle school…. Rates are on a monthly basis, but are actually a lot cheaper than my face-to-face tutoring rates (which are per hour – click here to see what I used to charge per hour). 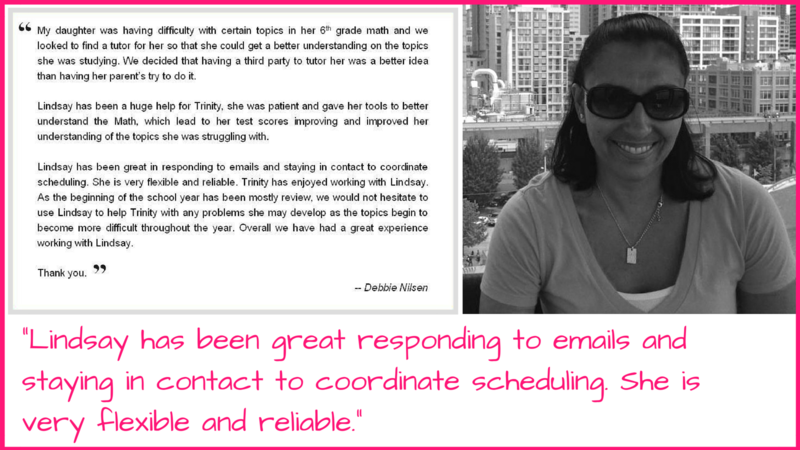 Plus, smart tutoring is more convenient and more flexible than meeting face-to-face once per week. So, basically, instead of flying by the seat of your pants and scheduling new sessions month-to-month, buying in bulk will be less chaotic for scheduling as well as saving you money in the long run. All payments will be done through PayPal. If you’re not familiar with PayPal, it is completely secure and trusted among billions of people. I will never see your credit card information or any other confidential information. PayPal takes care of it all! What are some weaknesses of the student in math class? Is there an online version of the student’s textbook? If so, am I able to sign in to it? Is it ok if I email the teacher directly? (to find out what he/she would like me to focus on, homework policy and participation, performance on assessments, etc). If yes, then please include the teacher’s email address. Does your son/daughter have a smart phone to download WhatsApp? If the student has time, click here for a student pre-test and include it in the email so that I can assess student’s weaknesses. PayPal – After we’ve communicated and decided that smart tutoring is a good fit, I’ll send you an email with a link to PayPal. Once I receive confirmation that the payment was successful, I will email you and we can begin! Learn a little bit more about me and what I used to do before Smart Tutoring. Share the post "SMART TUTORING"